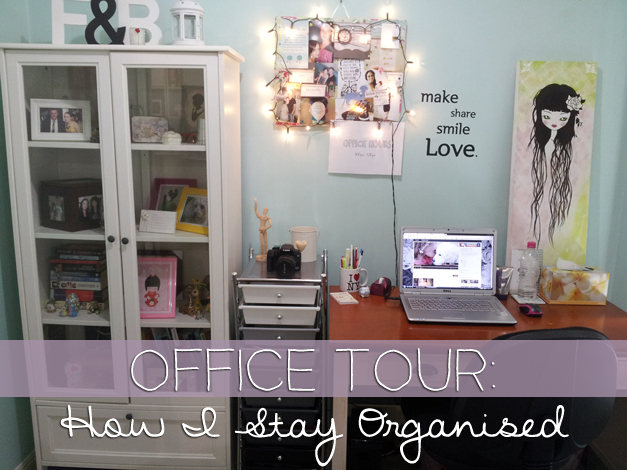 Pursuit of Felicity: Office Tour: How I Stay Organised. Today I thought I'd post something a little different and give you guys a tour of my office space/desk area. I was originally going to make a video tour of my entire apartment, but figured I'd show you the most important/interesting room instead. 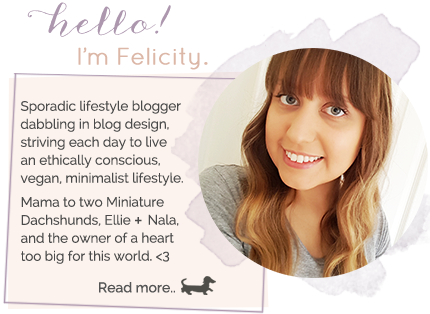 As some of you might not know, not only do I work from home as a part-time blogger/blog designer, but I also work from home as a social media marketer for my Aunt's bookkeeping business AND do full time study online for my education degree (which I will be finishing up in June, Yay!). Basically this means that I spend 4-12 hours, every single day, sitting in this one little area of our apartment.. so I had to make the space pretty, right? Ah it looks so pretty :) x x x.
love that table and the fonts on the wall! This is beautiful! I am actually about to transition into full time graphic design/web development myself and be able to work from home! I'll definitely take some inspiration from your awesome office space! love the space. I have the space drawers but in the multi-color! It sure does! :) and yay! Glad to have you as a follower! Love your office. Is this in your current house or old one?